I have to admit, I was afraid to write about this topic at first. What if I offended someone by saying their favorite attraction or restaurant was a waste of time? Then I realized, there is so much going on at Disney all the time, and there are a lot of things guests waste their time on without even realizing it. I want to help guests, both first-timers and frequent visitors, get the most out of their vacation. Here a few nuggets of advice from a former Cast Member and current Annual Passholder to help you maximize, and not waste, your time at Disney! Now, I promised myself I wouldn’t be a downer and label anyone’s favorite attraction or show as a “waste of time.” However, these carnival-style games in DinoLand are universally disapproved by almost every Cast Member, and as someone who worked near them quite frequently, I especially dislike them. The idea of carnival games goes against everything Walt Disney envisioned for his parks, and the theming of the surrounding area (Chester and Hester’s Dino-Rama) is not on par with the rest of Animal Kingdom’s beauty. In addition to that, the games cost extra money, and the cast members manning the booths often won’t start the games until a good number of people have sat down to play. So, you’re spending the extra money and wasting time that could be better spent in other parts of Animal Kingdom (like Pandora: World of Avatar). If you do win a prize (usually a cheap, tacky stuffed animal), then you’re stuck carrying it around all day. I get that it can be hard to drag little ones away from these games (and sometimes even big kids- my husband can get very competitive at these)- but you really shouldn’t bother. Take young ones to do the Wilderness Explorer activities instead, where they can earn free badges- and save your money for some cool souvenirs you actually want! All over Disney World, quick-service restaurants now offer mobile ordering via the My Disney Experience app. You open the app, and if the restaurant you want is available, you can view the menu and order right from your phone. Then, when you approach the restaurant, you’ll tap the button that says “Prepare My Order,” and your food will be ready by the time you reach the restaurant’s counter! This saves loads of time, especially at lunchtime when everyone crowds the quick-service restaurants. You can skip the line, and have the luxury of perusing the menu on your phone. Of course, some people prefer going to the restaurant and looking at a physical menu- and there’s always the chance that a certain restaurant will not have mobile ordering available. 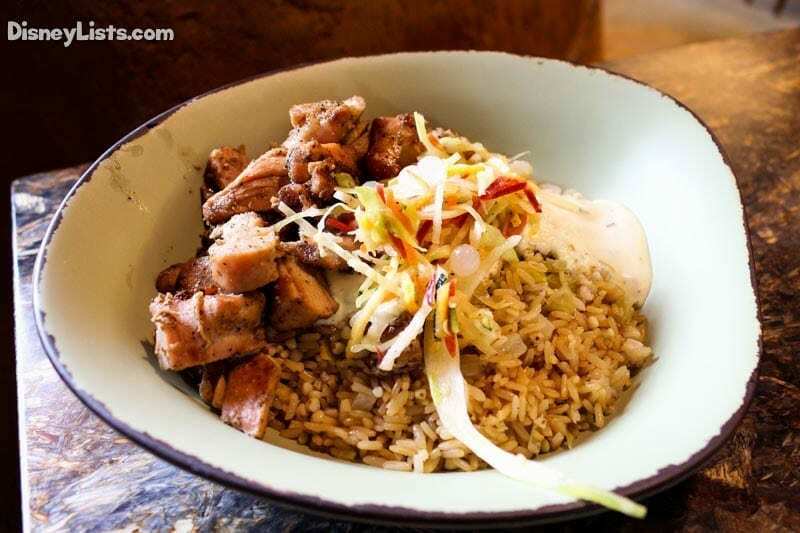 However, if you don’t have a meal reservation and just want something quick to keep you going, definitely check out mobile ordering- I love it, especially at Satu’li Canteen in Animal Kingdom! Guest Relations, located at the entrance to every Disney park, can help you with lots of issues- trouble with fast passes, dining reservations, lost items, complaints, etc. You can also visit here to get birthday and first-timer buttons. However, unless it is absolutely necessary, try not to go to Guest Relations at the end of the day. That’s when everyone goes, and the line is usually out the door with cast members trying to help guests solve all of their issues. The morning is typically pretty busy too, with guests getting buttons, so I would advise visiting Guest Relations in the middle of the day. You’re more likely to get quicker service and can go on with the rest of your day with (hopefully) more peace of mind. I once needed help canceling a dining reservation (if you don’t cancel within a certain timeframe for some restaurants, and don’t show up, your credit card will get charged). So, I went to Guest Relations at Magic Kingdom as it was approaching twilight. Guests were getting spots for the fireworks or heading to their dinner reservations, and so I only had to wait for a few minutes, and the cast member was super helpful! The only caveat to this piece of advice is package pickup. Sometimes, if you purchase a large item in a store, cast members give you the option to pick it up at Guest Relations at the end of the day (to save you from carrying it) or sending it to your resort hotel if you’re staying on property. In this case, you will have to visit Guest Relations when you leave the park, and this may not be until the end of the night. However, if it’s a minor issue (for example, a lost item or a cast compliment/complaint) wait till the middle of the day. Some issues can even be solved on the Disney Parks website. You definitely don’t want to waste your time in line, especially if it’s not for an attraction! This is a really unpopular opinion, I know. A lot of guests love character dance parties, which are usually scheduled during hard ticket events (like Mickey’s Not So Scary Halloween Party), but can also happen during a regular park day. Dance parties are typically held in the Magic Kingdom, with Frontierland and Tomorrowland being popular spots. There’s also the Move It! Shake It! Dance & Play It dance party/parade that happens every few hours along Main Street. Character dance parties are becoming more common over at Animal Kingdom as well. 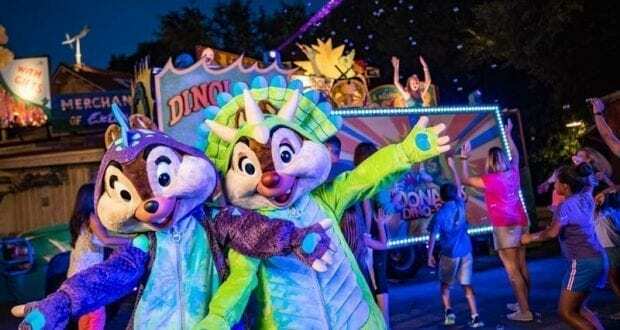 For me, the dance parties are awkward, they don’t offer much in terms of one-on-one character interaction, and they take time away from riding attractions. Unless there is a rare character at a dance party, I would rather spend my time visiting a favorite character’s meet and greet location (rather than try to dance with them). I know this must make me sound like a grump, and I can see how dance parties appeal to some guests; however, they just feel like forced fun. If you really want to attend a dance party, then I would only plan on staying for a few minutes or so. Take advantage of everything else the Disney theme parks have to offer! The bag check lines at security can get pretty long, especially as the day goes on. Every Disney park will have security check guest bags before they enter. Sometimes the guards will perform really thorough checks, and sometimes they’ll quickly pat the pockets of your purse before sending you on your way. Sometimes you’ll also have to walk through a metal detector. These methods are here for our safety, and there’s no point trying to avoid them. However, you can be prepared for bag check to make the process flow as quickly as possible, wasting less time in line and more time in the parks. While waiting for security, have all bags off your shoulders, out, and ready to place on the table. Make sure all zippers are open. If you’re like me and have a smaller pouch within your bag that holds your more personal items, have that out and open as well. If you have a stroller filled with bags, take those out of the stroller. If you have things in your bag that you don’t mushed or ruined (like food), make sure to either point these out to the guards or take them out yourself. All of this will ensure you have a smooth transition through security, and you’ll be on your way to the parks in no time! Also, it helps to smile and say hello to the security guards- they’ll appreciate it! If you’re not a frequent visitor to Walt Disney World, it’s easy to become overwhelmed and confused when making fast passes. It may seem obvious to some that attractions like Space Mountain and Frozen Ever After definitely need fast passes, while others like Journey into imagination and Mickey’s Philharmagic, well, don’t. You don’t want to waste one of your precious fast passes on a ride that normally has a very low wait time- after all, you’re only allotted three initial fast passes for the day. My advice is to scour the internet. There are tons of articles out there about which fast passes to get at which park. 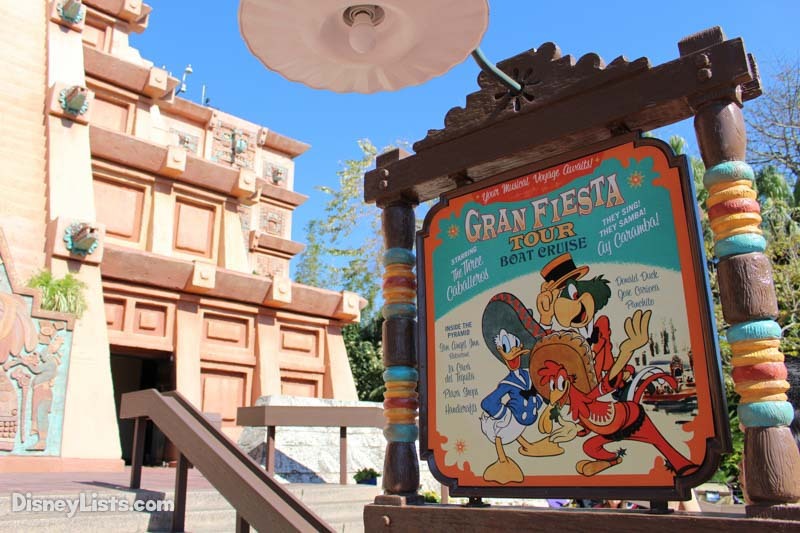 You’ll want to get fast passes for the newer attractions, of course, and there are some classics that always have a super long wait without fail (I’m looking at you, Peter Pan’s Flight). But others, like the Gran Fiesta Tour at Epcot and It’s Tough to be a Bug at Animal Kingdom are almost always walk-ons. Save time waiting in line by getting fast passes for the heavy-hitter rides, and enjoy the less-frequented attractions using the stand-by queue. This is probably the biggest time waster I can think of. For Disney World, there’s a lot to learn, but there’s also so many sources of information out there. There are planning guides galore, YouTube channels, blogs, and books- even if you don’t have a computer, there is simply no excuse for not researching properly if you have a Disney trip planned. The Disney website will even send you a free planning DVD. You don’t want to miss out on awesome moments and experiences just because you didn’t know they existed! Also, Disney is constantly changing- they shut down rides, refurbish attractions and shows, offer special discounts, have events and festivals for different times of year it’s a lot, and even I can’t keep them all straight. Definitely, head to Disney’s website and see what will be happening during your trip, as well as what rides will be closed and what the park hours will be. As a cast member, I encountered many guests who got upset during the one month the petting zoo was closed at Rafiki’s Planet Watch. A little research will prepare you for closures and refurbs, as well as events (where, depending on the event, they might close the parks early), and you’ll save time by planning your days around these changes. I feel as though I know two types of people- those who plan obsessively for a Disney trip, and those who choose to remain blissfully ignorant and go with the flow. I recommend you go in with both attitudes-you don’t have to have spreadsheets and itineraries prepared, but you should also have an idea about the different parks and what you’d like to see/eat/ride. After all, Disney World is supposed to be fun, and you are supposed to be on vacation! You don’t want to stress yourself out with over-planning, so you’ll want to find a healthy balance. Throw in a few relaxing pool days in between park days. Do what’s best for you and your family. No matter how you go about tackling Disney World, if you incorporate even a little bit of planning, you’ll save tons of time and have a vacation to remember!